UNLIMITED MANA! Never worry about Play Pass fees, ever. But that's not all, as an extra perk for this limited offer, you will always have a personalized glass at Mana, and your first drink of every visit is on us (some limitations apply). PLUS - 2 Play Passes (one day) every month for you to share! 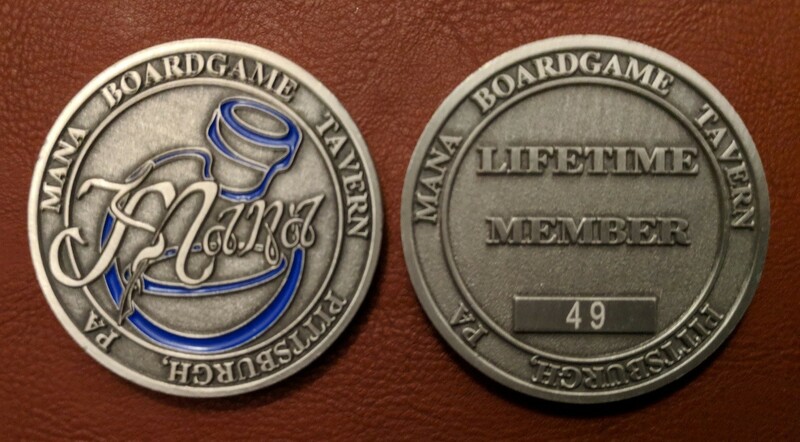 As a token of your pledge to us, the Lifetime Membership is represented by an individually numbered custom 1.5" challenge coin.